Fancy a larger Keep Cup! This is the product just for you. This 450ml capacity will guarantee that even huge coffee drinkers will never go without. 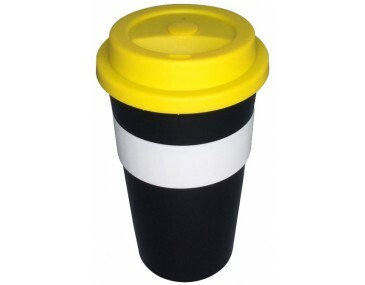 These are Australian made promotional eco coffee cups and have been a huge success. Imagine having your logo branded on the band of this coffee cup. You will definitely benefit from the increased exposure to not just only the recipient but also from passer bys who will definitely look on with jealousy. The recipient of the item will also love the colour and the quality of the product. Made locally in Australia, our website prices listed includes a 1 colour print of your logo in 1 position on the silicon. Multiple prints may be possible as well as position. Please contact us for extra charges. Cup Lids: Blue, Green, Red, Yellow, Black, White, Grey, Purple, Brown, Orange, light blue, dark brown. Large Body: Blue, Green, Red, Yellow, Black, White, Grey, Purple, Brown, Orange, light blue, dark brown Silicone Band: Blue, Green, Red, Yellow, Black, White, Grey, Purple, Brown, Orange, light blue, dark brown. The silicone band on the middle of the large sized mug makes the item extremely attractive. However they also serve the purpose of keeping your hands away from the heat of the hot contents too. For branding your logo or text we require your artwork to be supplied via email in an Adobe EPS or PDF format with outlines. 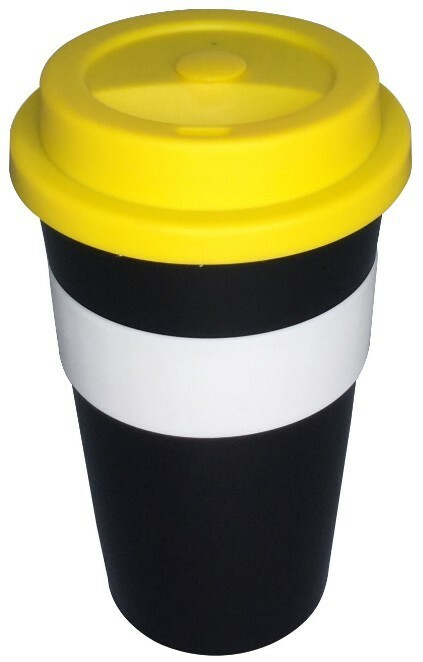 This mug is made right here in Australia and the turnaround time is 2 weeks for most orders. If you have a deadline to work towards for your event please let us know and we can rush the order through for you.